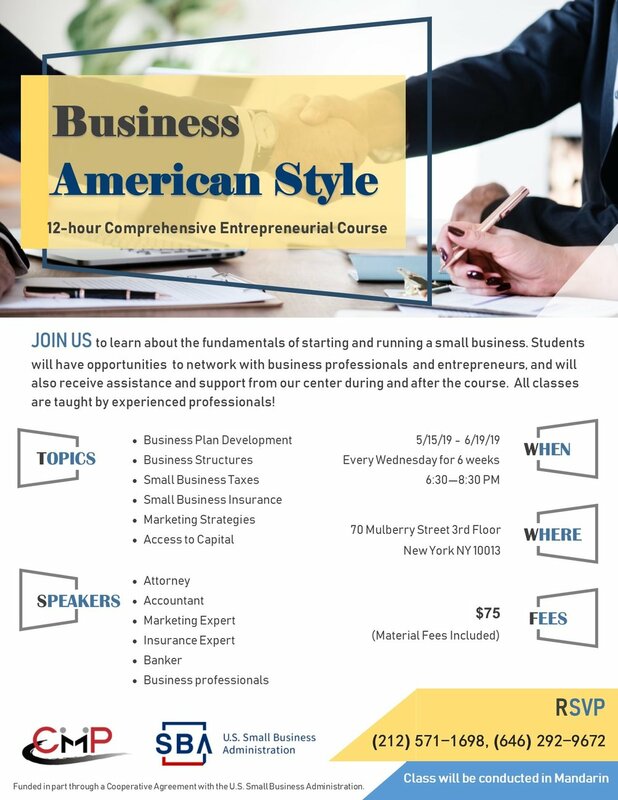 CMP will be hosting a Business American Style (BAS) entrepreneurial course on Wednesday evenings, from May 15th to June 19th! 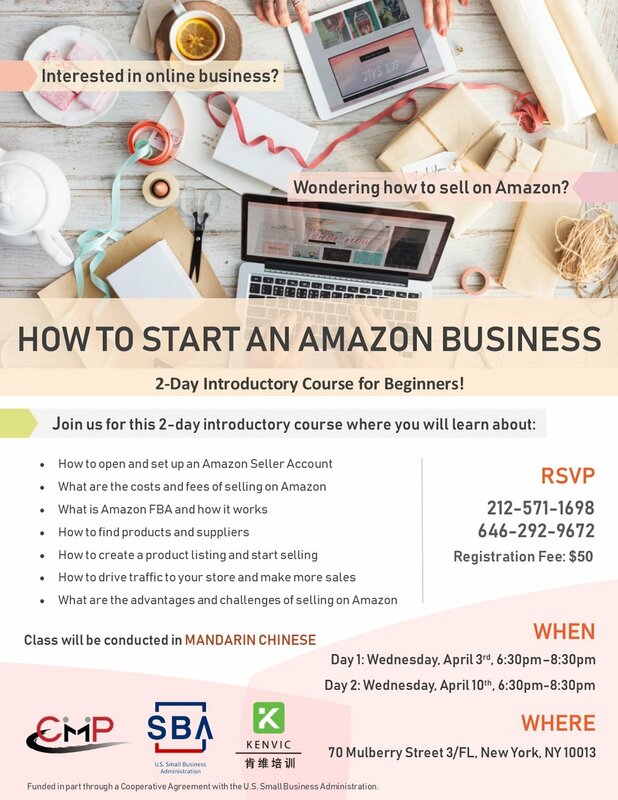 If you want to learn all the fundamentals of starting and running a small business, receive technical assistance and support from our center during and after the classes, please don’t miss this great opportunity!. Open to all aspiring entrepreneurs, established business professionals, and anyone who’s interested in learning more about entrepreneurship! 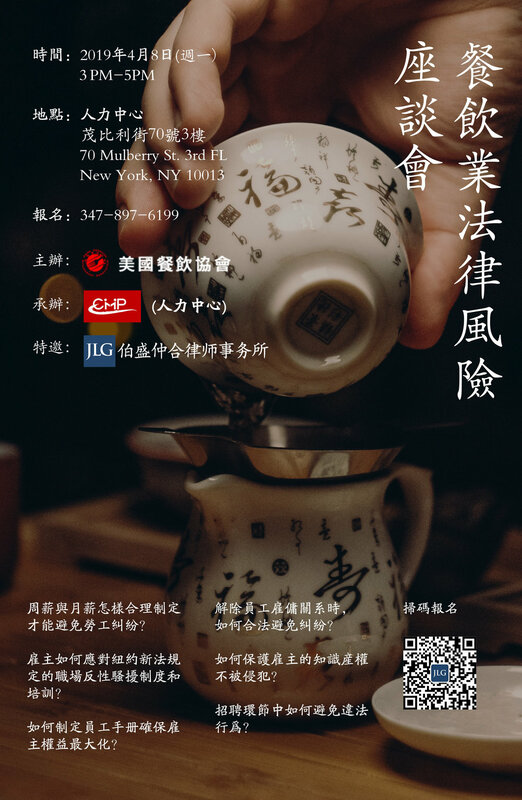 For more details, please contact 212-571-1698 or 646-292-9672.